I love when I hear about someone who obsesses over the little things - someone who takes something that anyone could pick up and fixates on the details, making the very best thing possible. This is exactly what Quadrivium Supplies oils are about. Quadrivium Oils "are hand-made ritual oils, created according to the lunar calendar and planetary hours. Certain oils are electional, created at times determined by an expert astrologer trained in this discipline." She uses the highest grade materials possible, takes her work very seriously and makes some seriously amazing supplies. 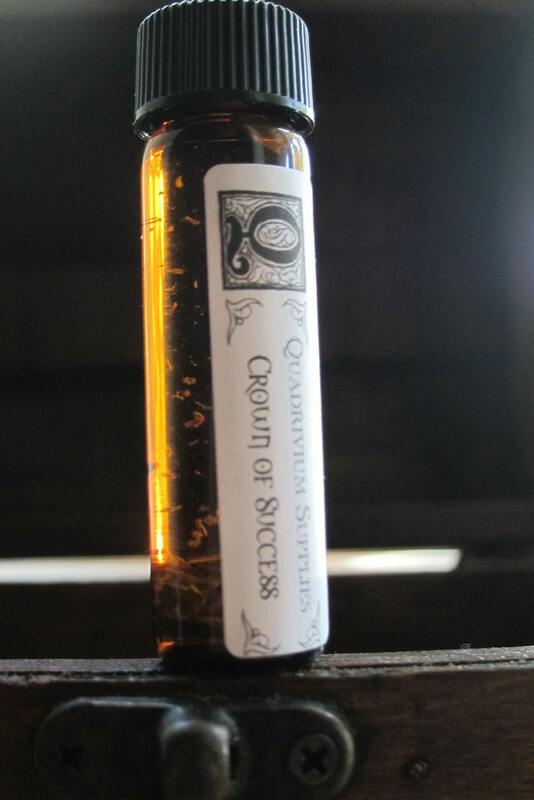 You can stop by the Occult Bookstore at 1164 N. Milwaukee Ave. to check the oils out in person and make a purchase (exactly what I did - the "Crown of Success" oil is something very special). Those of you who live outside of Chicago can purchase her oils through Etsy.